Another rant… Honda Canada and Honda Canada Finance has failed me. Yes, I still believe in Honda products. However, the financial side of it has failed me. I will start at the beginning… Back on March 9th, 2015, I lost my job. However, needless to say, it was a blow to my financial situation. Now, when I leased my 2015 Honda Accord Sport, I was given the option of the Walkaway program. The Walkaway program pays for 4 months of payments to Honda Canada Finance for my lease. Therefore, I still get to keep my car. Recently, Walkaway sent a cheque for two months worth of payments to Honda Canada Finance, which they admit to receiving. However, they ‘claim’ that they didn’t know what to do with it, so they just added it to the principle of my lease, instead of adding it as payments to the account. This in turn, didn’t stop Honda Canada Finance from continuing to deduct money from my bank account. After contacting Honda Canada Finance, months ago, I was told that if this was the case, the money would be refunded to me. But, in this recent case, they said that they would not refund any money to me as the payment had already be deducted, but the cheque that was received would be added as future payments. I am positively sure that Walkaway sent a letter along with the cheque, instructing them that the cheque was to cover for 2 months worth of payments. However, the telephone agent at Honda Canada Finance denies this as all the information that would have been sent was entered into the system that they use to track payment items. I have felt that the way it was explained to me, has been made my fault. I don’t get how they wouldn’t know what to do with it, they deal with these financial insurance companies all the time. But the agent only responded that it is the dealership that offers the program and that Honda Canada Finance is not responsible for this. I therefore feel that it has been indirectly falls upon the customer to make sure that everything was in order. You know, maybe I might agree with that. However, I have had a lot on my mind. Losing my job, contacting all the financial insurance companies so that I don’t go into debt, the passing my my mother, setting up her wake and funeral, along with taking care of her estate and trying to find another job. My mind has been a wreck! So, because of this extra amount that was deducted from my account, I didn’t have enough in the account, because I wasn’t expecting it, to clear a payment for another utility bill, which defaulted and I obviously get charged the NSF fee for it. To top it all off, I had brought my car into one of their dealerships near my home for an oil change and brake inspection maintenance. Only to find that the passenger front tire’s brake calliper wasn’t installed correctly and it seized onto the brake disc. This caused friction and the disc to burn and warp. After bringing it back to the dealership, they told me what had happened and that they fixed it. They also told me that they would order a new set of front discs and pads to replaced the damaged brake disc. As well, my next oil change would be on the house for my troubles. It just seems like I have had a lot of troubles with Honda lately, as a company, and I am truly upset with them. Especially with the fact that my unemployment situation has been made more difficult with them not owning up to their mistakes. If I received a LARGE cheque from an insurance company for a certain account and not sure what to do with it, I would certainly call that insurance company and find out was it was for. Not just willy nilly apply it somewhere and make the customer pay for it, either financially or mentally. Nobody affiliated with Honda Canada, be it the financial side, dealership or management are willing to WORK to make the customer’s life more easier, especially when they are going through a rough patch in life. Well, the good news, I’ve passed the Restricted Possession Acquisition License Safety Course. In Canada, before anyone can obtain a handgun, they must obtain an RPAL, but before they can get that, they must pass the safety course for restricted weapons. The pass mark for this course is 80%. Now, I have to wait for the course report to return to me, before I can send in the application to the Royal Canadian Mounted Police. There’s a 28 day mandatory waiting period and they ‘will’ call all your references and call you for an interview. Then if everything goes well, I should have it in a couple of months. During this time, I have been doing some pre-shopping for a handgun. I have decided on a 9mm for the fact that the ammunition is cheaper than .40 caliber; and the same for a .22lr handgun as well. 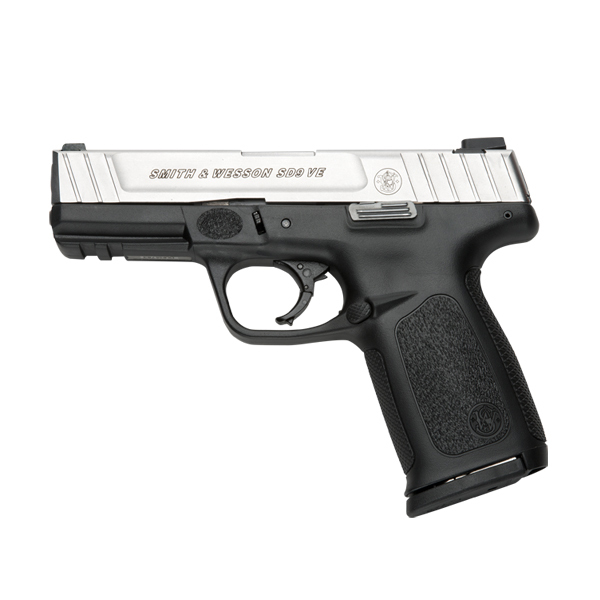 The first I have chosen is a Smith & Wesson M&P22; I choose this as it has had a tonne of good reviews. 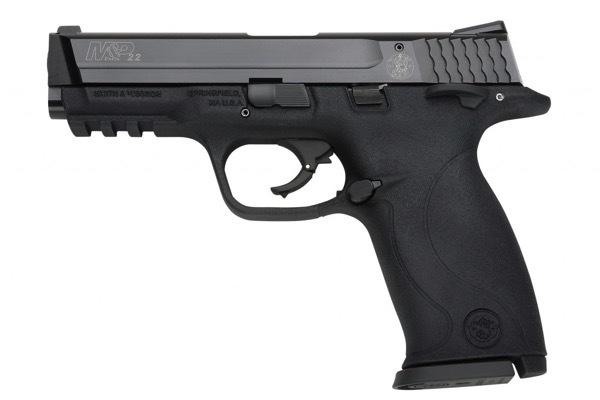 and the Smith & Wesson SD9 VE; this gun was based off the Glock by Smith & Wesson. If the S&W Sigma and the M&P got together and had a baby, this would be the result. It takes the great parts of both guns and mixed it into this one. As well, the pricing was the best with a tonne of good reviews.